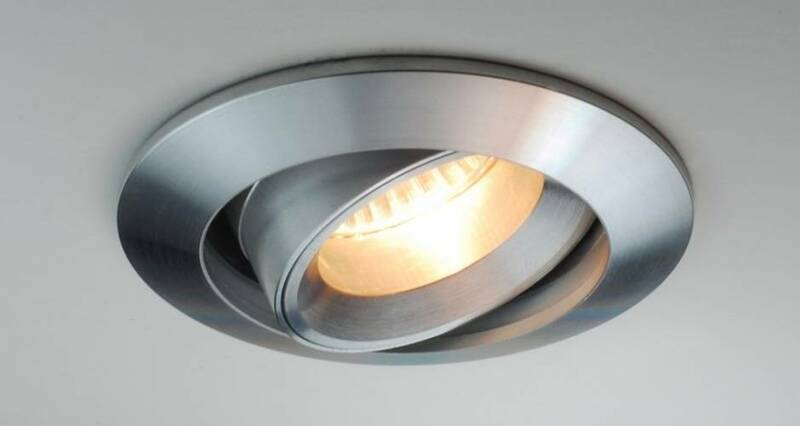 Modern aluminum recessed spot suitable for various LED lamps. nicely finished and the inner ring is tiltable. Tiltable recessed spot made of die-cast aluminum with twisted screw inner ring. This spotlight is lightly polished. By means of clamping springs, this downlight is suitable for mounting in a suspended ceiling. The Sealing Class is IP20. 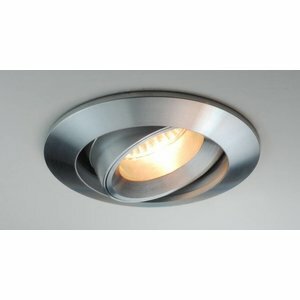 This downlight has a maximum output of 50 watts. Suitable for LED lamps type MR16 50mm 12v GU5.3 or 230v GU10. The spotlight is dimmable in combination with a dimmable light source. Choice of 12v gu5.3 and 230v GU10 version.